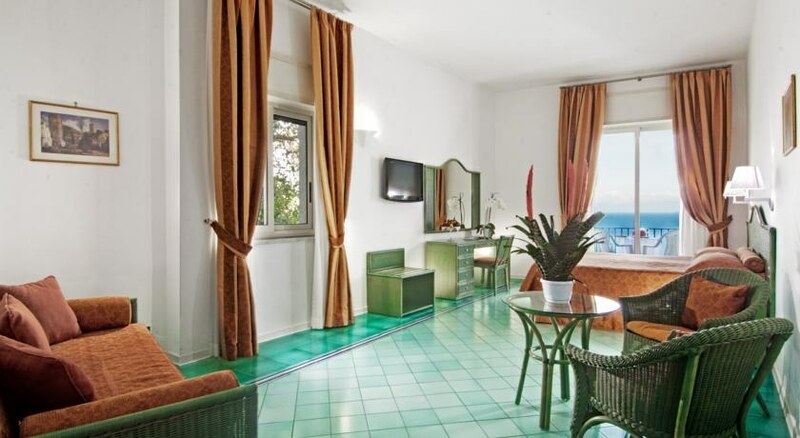 The Miramalfi Hotel enjoys a fabulous and enviable location perched on the magnificent Amalfi coastline, affording guests unrivalled views of Amalfi, the blue sparkling Mediterranean and far along the coastline as far as the human eye can see. Built as the realisation of the family dreams the Miramalfi Hotel was named by a family member who exclaimed in delight 'Mira Amalfi' - 'See Amalfi' when greeted by the view from the hotel. The Miramalfi Hotel is only 10-15min stroll from Amalfi town where guests will find a wide range of good shops, cafes, restaurants and nightly entertainment to suit a variety of tastes and budgets. 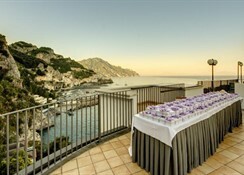 Offering outstanding value for money, a range of services and facilities and a warm Mediterranean welcome the Miramalfi Hotel is the ideal choice for business guests or holidaymakers seeking a 1st rate hotel in Amalfi. 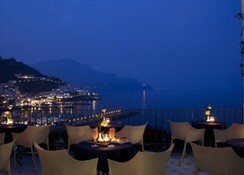 For a real treat book you next visit to Amalfi at the fabulous Miramalfi Hotel where guests' enjoyment and satisfaction have been the priority since 1956. Local tips: while in Amalfi treat yourself to a trip to Pompeii and witness the utter destruction Vesuvius caused millennia ago. Stroll through the streets long since silenced on that fateful day and marvel at the daily lives of such a people living in the shadow of the volcano. Ask staff at reception for further information and local guidance. 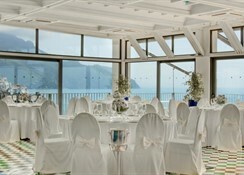 Food, drink and entertainment: guests have a variety of dining options including; the restaurant – offering magnificent views of Amalfi with glass walls on 3 sides giving diners the feeling of being suspended over the sea! The restaurant offers buffet style dining featuring well sourced local produce, the sea level snack bar featuring sea food as a speciality and grill (open summer months only) and the American Bar poolside offering drinks and snacks throughout the day and evening (summer months). 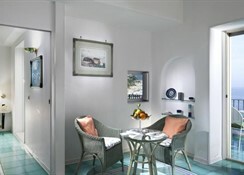 Entertainment is easily found across Amalfi to suit a wide range of tastes and budgets. Sports, games and activities: outdoor swimming pool, small terrace offering loungers and parasols. Further sporting amenities/activities are available for rental/hire up and down the Amalfi coastline including sailing, boating, water sports, horse riding and many more. Ask staff at reception for further information and local guidance. Additional: 24hr reception, currency exchange, safety deposit box, boat rental, concierge services, internet access, laundry, parking, tourist information/guest relations services, banquets/wedding services, event services, air conditioned public areas, housekeeping, maid services, newspapers. 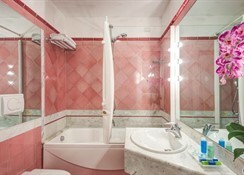 All of the rooms have balconies or terraces facing the sea, air-conditioning and heating, direct telephone line, mini bar, satellite TV, safe, hairdryer and, in the superior rooms and suites, hydromassage. 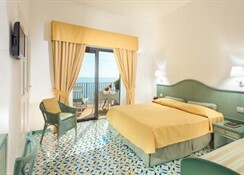 Extra beds can be provided on request in nearly all of the rooms. Connecting rooms are available.